Romi Irawan is a partner of transfer pricing services at DDTC. He is an experienced practitioner in transfer pricing controversies. He has vast experience in handling transfer pricing issues for clients involved in crude palm oil, automotive, pulp and chemical industries. 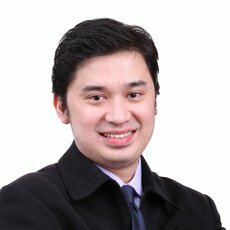 He received his bachelor’s degree in financial management from the University of Indonesia, master’s degree in corporate financial management from Gadjah Mada University and he received his next master’s degree in international taxation (LLM Int Tax) at Vienna University of Economics and Business Administration, Austria, under full scholarship from DDTC. He has passed two out of three examination papers for advance diploma in international taxation from the Chartered Institute of Taxation – UK, including principles of international taxation and principles of corporate and international taxation (transfer pricing) and therefore has been awarded a certificate in principles of international taxation and principles of corporate and international taxation (transfer pricing). He is a regular speaker in various seminars and trainings organised by DDTC, covering topics in transfer pricing. He is frequently involved as a trainer and speaker in several forum and group discussions held by private institutions and government agencies.